For centuries, ginger bao (broth) has simmered in kettles across Asia. It's the base for nearly half of Traditional Chinese wellness drinks, yet it's never before been bottled. Our Ginbao brings the jing with healthy ingredients that are high in delicious. In Asia, people drink ginger bao daily to aid digestion, build immunity, get energized, and feel their best. Tradition says ginger and ginseng are wonder ingredients, with numerous health benefits. The word “bao” has many Chinese meanings, including “broth,” “precious,” and “gold.” Our Ginbao has a spicy, clean flavor you'll love. 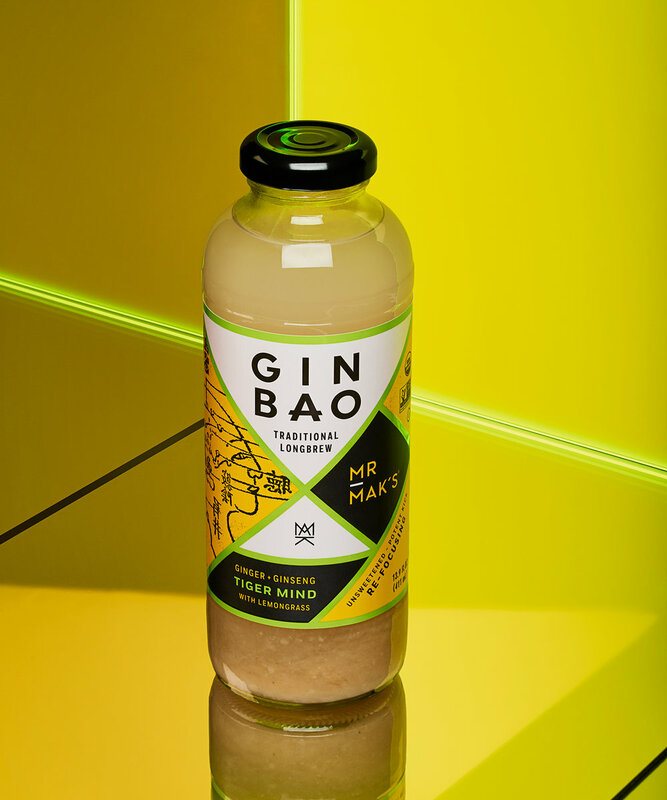 Every bottle of Ginbao starts with a base of fresh filtered water, organic ginger, and organic Asian ginseng. Gluten-free, vegan, and uncarbonated, each bottle is rich in antioxidants with a strong ginger kick. Mr. Mak arrived as a refugee in New York City in the 1970s, hustling nonstop for his American Dream. He got it—along with stress, exhaustion, and physical funks. But then he remembered an old family recipe for a ginger bao with ginseng. He put the kettle on and was soon enjoying renewed health and making Ginbao for friends from Chinatown to Queens. Now he's helping people everywhere free the chi.